Won’t streak or leave a film. 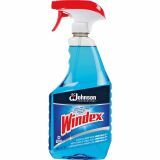 Windex Glass Cleaner - Windex Original is America’s #1 glass cleaner, for good reason. Trusted by generations for its famous streak-free shine, Windex Original is perfect for cleaning glass and a whole lot more. 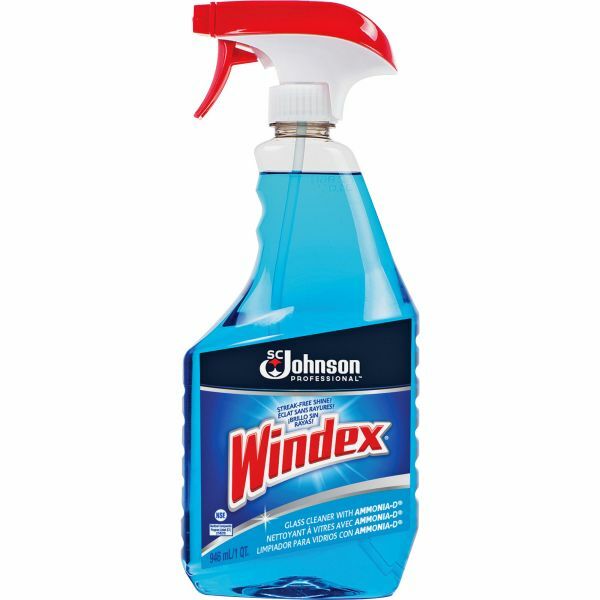 Windex Glass Cleaner uses a unique Ammonia-D formula that cleans glass without leaving streaks or film. It starts cleaning dirt even before you wipe. Glass is left sparkling clean. Works on other surfaces including mirrors, stainless steel, plastic, chrome, ceramic tile, enamel and porcelain. Applies easily with included trigger sprayer. With its easy-grip bottle and angled tube, you’re able to get more shine out of every bottle of the window-cleaning product. Windex formula does not contain phosphates. Two-liter refills are also available. Bottles are shipped capped with trigger attached to ensure no leakage with shipment. No need to purchase a separate trigger.